Screen Grab: generic template: sample of Xposure interactive property website. Atlanta real estate agents have a new, affordable marketing solution to help get listings and sell homes faster. Xposure – launched this week in the U.S. – enables agents and their photographer to easily, quickly and seamlessly collaborate to build an interactive property website for every listing. The automatically-generated websites look great on an iPad and iPhone – including gyro mode for viewing 360º photo spheres. Prospective buyers – and agents – will feel like they have 'teleported in' to the home for a virtual tour ... to help make a confident decision to visit. Additionally, Xposure automates creating great looking print marketing tools. an innovative free iPad app to easily, quickly and magically creating floor plans (or import an existing floor plan). floor plans that include clickable links to 360º spherical panoramas; photos; and video tours. If you have a video, you can add the video to the multimedia gallery and link to it on the floor plan. an easy and fast tool for creating up to 60 second video using still images to add to your multimedia gallery (and then link on the floor plan); plus add music from the Xposure library. 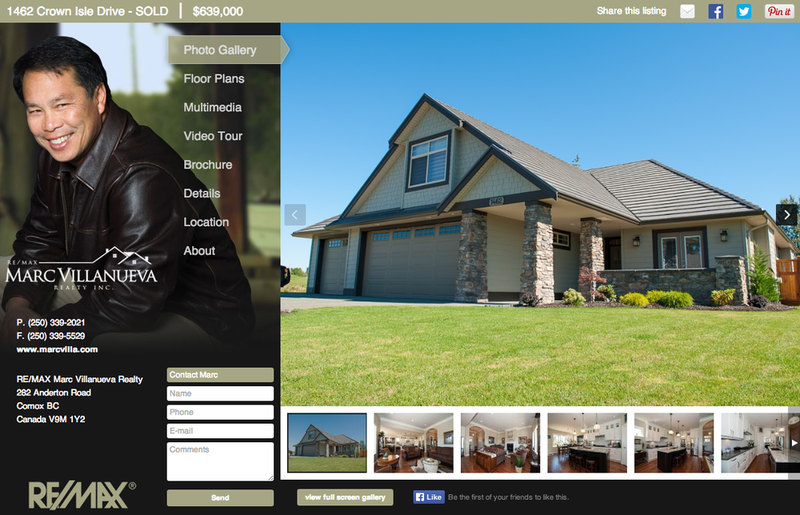 Screen Grab: cusome template: example of Xposure interactive property website. "The Xposure solution pairs nicely with our photography services to enable Atlanta area real estate agents to differentiate their marketing services," said We Get Around Chief Photographer Dan Smigrod. "We're thrilled to offer agents this easy, fast and seamless turn-key solution to help increase listings and help sell homes faster." "Xposure is the future of real estate marketing – today – for highly competitive agents," says Xposure Founder Darren Schneider. "Xposure automates the process of promoting a listing online and in print with super-fast tools for efficiently creating: virtual walk-throughs for every listing; print materials; social media; and analytics." Xposure monthly hosting is $4.95 (basic) or $9.95 (interactive floor plan option) per listing. Twenty or more monthly listings qualify for $2.95 or $5.95 pricing respectively. Atlanta-based We Get Around seamlessly integrates with Xposure and offers performance based pricing options for visual content creation (360º photo spheres, photos and floor plans). With a risk-free pricing option, We Get Around gets paid when the house sells. We Get Around packages begin at $395 per house. To book a house-for-sale photo shoot or ask questions, please contact us. Xposure Multimedia Video: how to create a floor plan with the xposure iPad app.